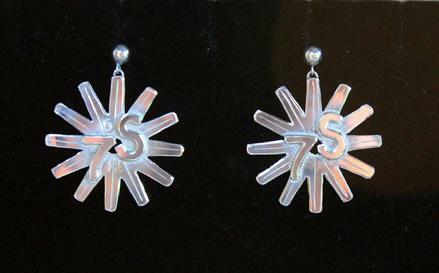 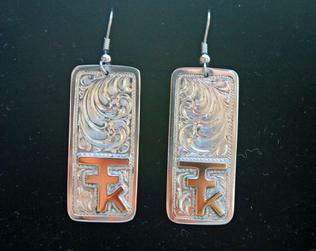 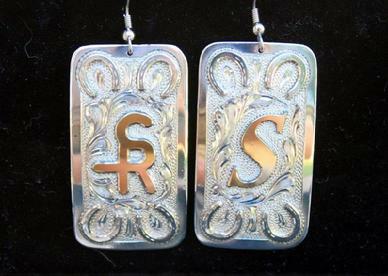 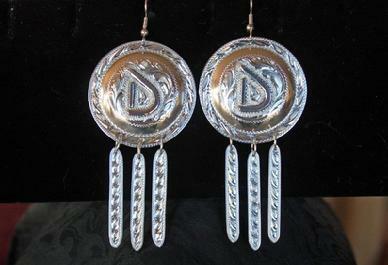 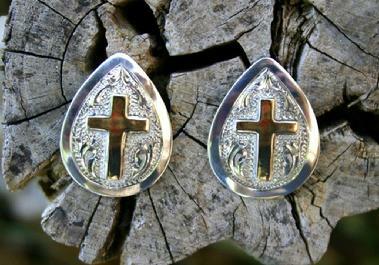 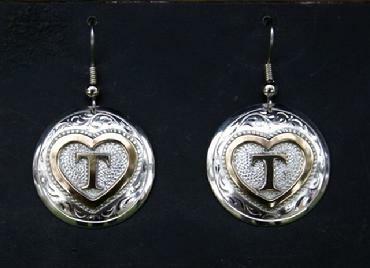 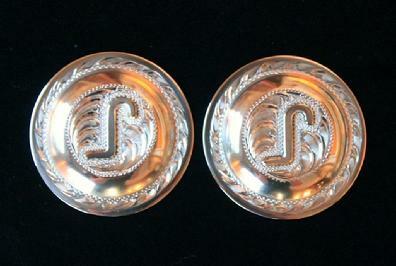 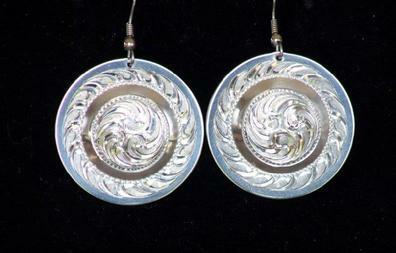 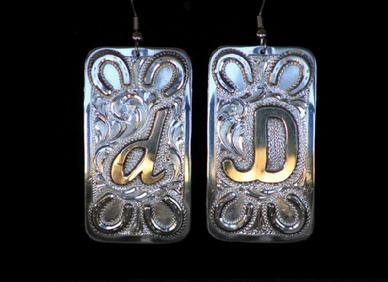 Sterling silver flat-top concho earring with brand. 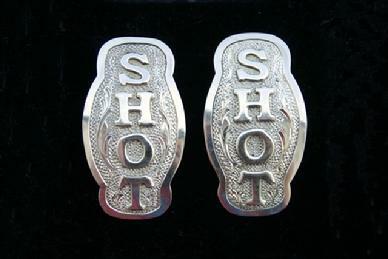 Clip on. 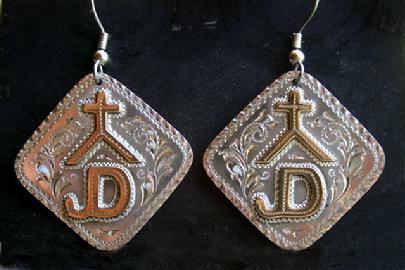 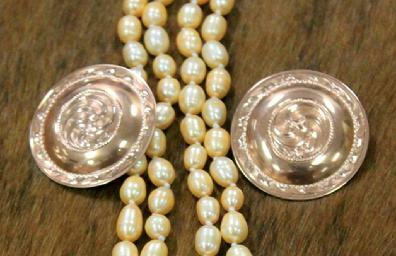 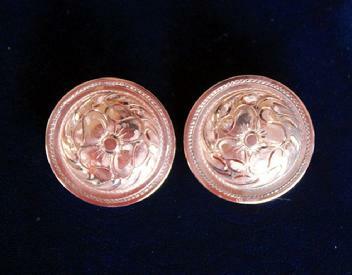 Copper flat-top concho earrings to match pendant on Penant page. 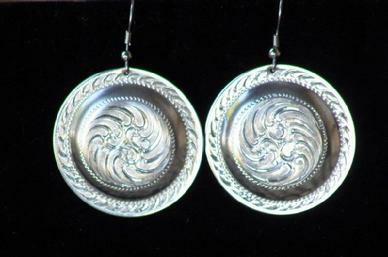 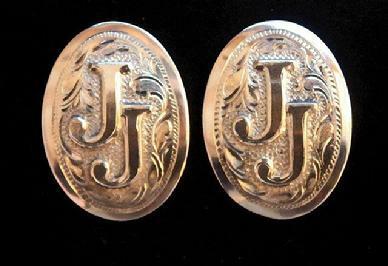 Sterling flat top concho earrings 1 1/4"
Sterling earrings with 10k goldfill brand.